Gulf Breeze, Fla – In preparation of the arrival of migratory piping plovers, Gulf Islands National Seashore has identified two important habitat areas for shorebirds. The federally protected piping plover, a small stocky sand-colored bird with orange legs, frequently favors the sand beaches and flats of national seashore for foraging grounds. While piping plovers do not nest here, the pristine habitat of the national seashore is a favorite location for the winter months. Through partnerships with US Fish and Wildlife Service and Audubon FL, an area at the tip of the Fort Pickens Area and one along the north shoreline of the Santa Rosa Area, will be posted to protect piping plovers. The park does not anticipate any impact to beach combing, wading, or shore fishing. The areas will be signed and the public is asked to avoid walking through these areas. Biologists at Gulf Islands have partnered with other scientist performing range-wide banding efforts which helps identify and track the habits of piping plovers. By placing tiny colored bracelet-like bands on the legs of the birds, biologists can learn specific information about individuals. In one case, a 20-day old chick was banded at a housing development in Nebraska, it was observed the next year nesting in North Dakota and was observed on various occasions in the non-breeding season at Fort Pickens and Perdido Key. “In just this one instance, a single bird traveled about 1,300 miles to winter here in the seashore. These birds are Florida’s original snowbirds,” Superintendent Dan Brown stated. Studies have shown human disturbances on non-breeding grounds can have negative impacts to piping plovers. “We try to stress the importance of the seashore as essential habitat for all types of wildlife and migratory birds. Small changes in how we use a beach can really add up to substantial improvements in the quality of habitat for shorebirds.” Brown added. Shorebirds benefit from these protected areas. 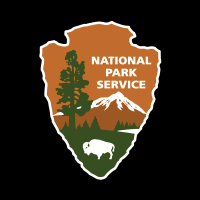 About Gulf Islands National Seashore: Created in 1971, the national seashore stretches 160 miles along the northern coast of the Gulf of Mexico in Florida and Mississippi, and includes barrier islands, maritime forests, historic forts, bayous, and marine habitat. Visit us at www.nps.gov/guis, on Facebook www.facebook.com/GulfIslandsNPS, Twitter www.twitter.com/GulfIslands_NPS.